Relax. Take a deep breath. Feel the cool rush of air fill your lungs. Doesn’t that feel nice? You pretty much get to do that every day of your life, and it’s absolutely free. Isn’t that swell? Wouldn’t you like to protect that feeling from the ravages of lung disease? Well then, you may want to think about putting a little more fiber in your diet. A study put out by the American Thoracic Society has found that a high-fiber diet may reduce the risk of lung disease. Using data gathered in the National Health and Nutrition Examination Survey, researchers were able to determine that folks with the highest fiber intakes had greater lung capacity and could exhale more air than those people who consumed the least amount of fiber. The scientists compared those in the top 25% of fiber consumers–people who ate more than 17.5 grams per day–with those in the bottom 25% percent–those consuming less than 10.75 grams–and found that 68.3% of the high-fiber group had normal lung function and that only 14.8% had airway restriction. On the other hand, 50.1% of the low-fiber group had normal lung function and 29.8% had airway restriction. Breathe easy and get more fiber in your diet with AIM’s wonderful selection of fiber products like Herbal Fiberblend and fit ‘n fiber! According to research published in the Journal of the American Heart Association, it is estimated that 711,800 people die annually because they don’t eat enough omega-6 polyunsaturated fats. They also estimate that 537,200 deaths are caused by people eating too many trans fats and that another 250, 900 perish from the over-consumption of saturated fats (in lieu of healthier ones like vegetable oils). Researchers determined these totals by diet and food availability data from 186 nations and previous studies on the relationships between fats, heart disease and geographic location. Saturated fats are most commonly found in meats and cheeses as well as in coconut and palm oils, and you’ll find your trans fat in your baked, fried and processed foods. They believe that polyunsaturated fats are important to good health because they have been found to lower cholesterol levels and reduce the risk of stroke and heart disease. You’ll find these fats in oils made from nuts, seeds and fish. “Worldwide, policymakers are focused on reducing saturated fats. Yet, we found there would be a much bigger impact on heart disease deaths if the priority was to increase the consumption of polyunsaturated fats as a replacement for saturated fats and refined carbohydrates, as well as to reduce trans fats,” said Dariush Mozaffarian, M.D., Dr.P.H., senior study author and dean of the Tufts Friedman School of Nutrition Science & Policy in Boston. If you’re looking to get more healthy fat in your diet, look no further than AIM’s AIMega. It’s made from the oils of flaxseed, sesame seed, olive and sunflower seed, providing the body with 2 grams of polyunsaturated fat in every serving. It also has 1,140 mg of omega-3 and 570 mg of omega-6, a scientifically balanced formula. A high-fiber diet has many benefits. It has been shown to improve heart health, assist in weight management, play a role in metabolic health and, of course, it’s great for keeping the digestive system running smoothly. However, new research indicates that fiber may even have the power to determine the future of our species. A study published in Nature has found that a diet low in fiber may irreversibly damage the gut flora and that the negative changes can be passed on to future generations. Scientists fed mice diets that were deprived of fiber. Various species of gut bacteria began to die off, and they did not come back when the mice were later given a high-fiber diet. After four mouse generations, the majority of bacteria that their great grandchildren were supposed to have had gone extinct. This is alarming news because the Industrialized, cheese-and-meat-heavy diet often lacks fiber. So it’s entirely possible that the human species may have altered their gut flora due to the low-fiber diets of the modern world. That being said, scientists were able to restore gut health to the fourth-generation mice through transplantation. (Another good reason to take probiotics like FloraFood). Eating fiber isn’t just healthy, it’s noble. You’re preserving healthy gut bacteria for future generations. So get a hold of AIM’s new and improved fit ‘n fiber orchard peach or trusty Herbal Fiberblend. Both provide the fiber needed for a healthier future. 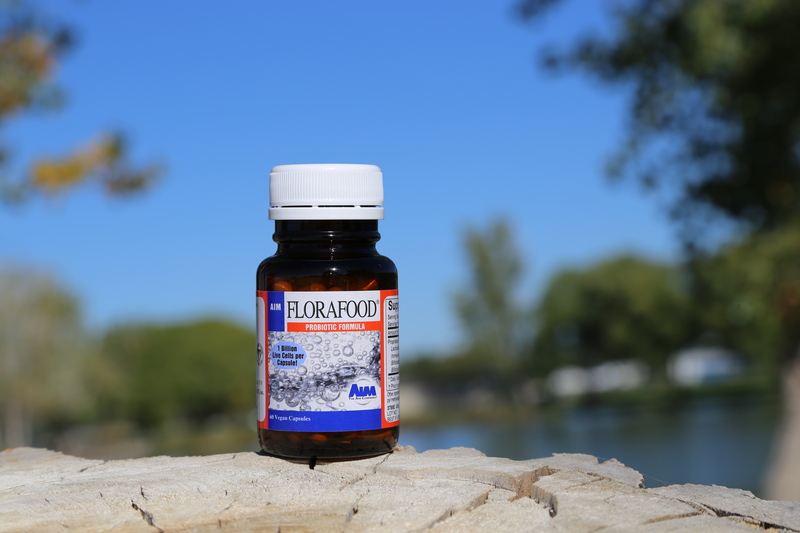 And if it’s probiotics that you’re wanting, try AIM’s FloraFood! For many centuries, cocoa has been known for its good taste and its beneficial effects on health. Recent research revealed that cocoa does indeed exert beneficial cardiovascular effects, probably mediated mainly by its polyphenols, a heterogeneous group of molecules found primarily in fruits and vegetables. The beneficial effects of cacao are most likely due to an increased bioavailability of NO. This may explain the improvement in endothelial function, the reduction in platelet function, and the potentially beneficial effects on blood pressure, insulin resistance, and blood lipids. The evidence is really piling up and it continues to pile. For instance, a new study in the Clinical Journal of the American Society of Nephrology has uncovered information that shows that cocoa flavanols may improve vascular functioning in people with end-stage renal disease. Sufferers of ESRD aren’t able to produce enough nitric oxide, so the researchers wanted to see if cocoa flavanols could help with that. Test subjects who were given cocoa flavanols saw a 53% increase in flow-mediated dilation (a non-invasive test for determining endothelial functioning) and seemed to alleviate some vascular dysfunction. According to Dr Rassaf and colleagues, the study yields four major findings: in patients with ESRD, ingestion of CF (Cocoa flavanols) (at 900 mg per day) is well tolerated, endothelial dysfunction is partly reversed by acute and chronic ingestion of CF, chronic ingestion of CF leads to decrease in diastolic blood pressure without “affecting markers of aortic stiffness,” and CF ingestion mitigates vascular dysfunction induced by HD (hemodialysis). 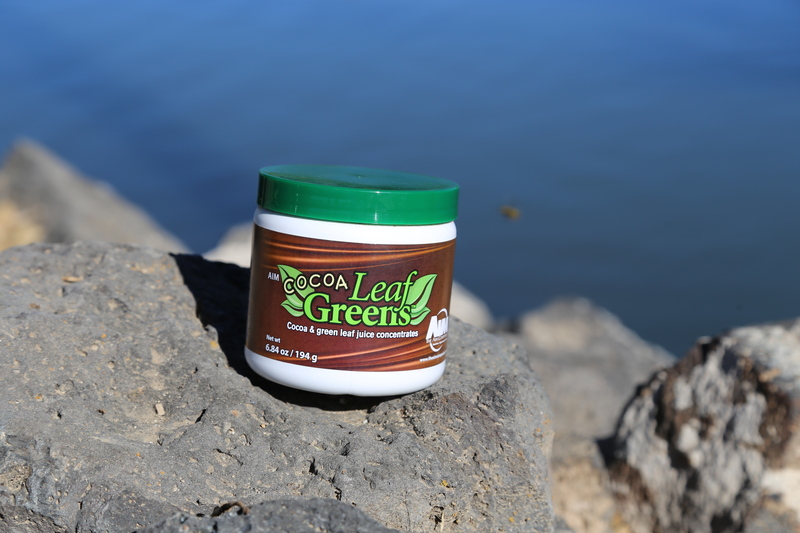 If you’re interested in getting more cocoa in your diet without having to resort to eating a bunch of sugary candy, The AIM Companies offers CoCoa LeafGreens. Not only does it contain vein-friendly cocoa flavanols, but it’s also made from a mix of five green vegetables and powerful antioxidants. And it has zero grams of sugar and only ten calories. Try it. You cannot lose. Severe painful cramping, a constant uncomfortable pressure on the abdomen, nausea, sharp stabbing pains, a raw feeling in the gut, a dull ache, bloating, a deep throbbing pang, a burning feeling, something lodged in the stomach that can’t be removed, excruciating lower back pain, a razor cutting through the intestines. If these descriptions portray the turmoil in your belly, you might be a sufferer of irritable bowel syndrome. Around 40 million people suffer from IBS in the United States alone. It’s unknown what exactly causes IBS. Therefore, the treatments usually target symptoms instead of going after the root. However, a new study published in BMJ Open Gastroenterology has found something that links the majority of IBS sufferers. They seem to have insufficient levels of vitamin D.
The study looked at 51 patients with IBS and found that of that group eighty-two percent were vitamin D insufficient. What’s even more amazing is that their levels of vitamin D correlated with their perceived quality of life in terms of how badly IBS was affecting it: The more vitamin D, the higher perceived quality of life. The researchers believe that this insight may help doctors to better understand the mysterious condition and will hopefully give sufferers a new tool to help manage their conditions. In the meantime, The AIM Companies offers CalciAIM for vitamin D supplementation. Every serving has 70% of the RDA for vitamin D, as well as calcium, magnesium and vitamin C. Since studies have shown that most people are insufficient in both vitamin D and magnesium, CalciAIM has something for everyone. Your intestines and stomach, these often overlooked, workaday organs that thanklessly digest your food, may house unique forms of life, never before discovered by science. While not yet proven, researchers in Paris believe that hidden among our mostly uncatalogued gut flora are microbes with highly unusual DNA that may actually be a whole new category of life form. That’s like discovering a brand-new mammal in your backyard. So it shouldn’t come as a surprise that scientists around the world keep making discoveries about the microscopic dramas unfolding in our bellies and how important a healthy gut biome is to whole-body health. Here are three recent discoveries. Your gut flora regulates glutathione, an antioxidant found in every cell of the body. Glutathione also governs nitric oxide, plays a role in DNA synthesis and repair and is critical for metabolizing iron. Some believe it is the most powerful antioxidant in the body, definitely important for warding off oxidative stress. Another study out of Sweden found that gut-flora balance may contribute to the regulation of blood sugar. And that this might be the key to why some weight loss treatments are effective for some people but not others. In the future, weight loss programs may be tailored to individuals based on their gut biome. Scientists in Russia have found that certain bacteria in the gut may be associated with the development of type 2 diabetes. Three types of microbiota were named as possible signs of diabetes: Blautia, Serratia and Akkermansia. Although healthy people’s guts contain these bacteria, folks who suffer from either diabetes or pre-diabetes have a significantly larger quantity of them. Let AIM’s FloraFood provide you with the building blocks of a healthier gut. It contains a special blend of three powerful friendly bacteria – L. gasseri, B. bifidum and B. longum. These bacteria promote the production of B vitamins, break down and rebuild hormones, protect the body from environmental toxins and help to maintain healthy cholesterol and triglyceride levels. AIM’s special formula requires no refrigeration.